The Union Hall project was a complex renovation. 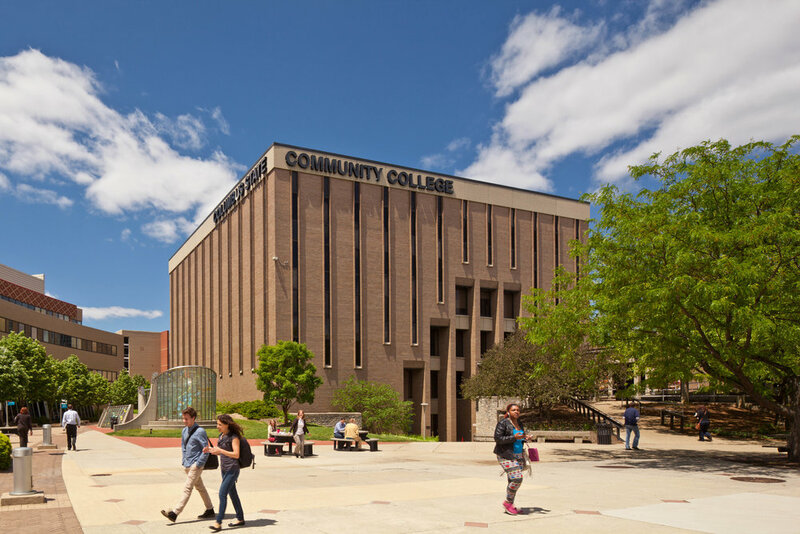 The 96,000 SF, 6-story building, containing classrooms, lab spaces, and offices, needed renovated but CSCC did not have adequate swing space to vacate the building to allow the comprehensive renovation to take place. Our team, in conjunction with the owner, determined that the best option was to first construct an addition onto the building that could accommodate all the occupants of an individual floor, to allow one floor at a time to be renovated while the remaining floors remained in use. 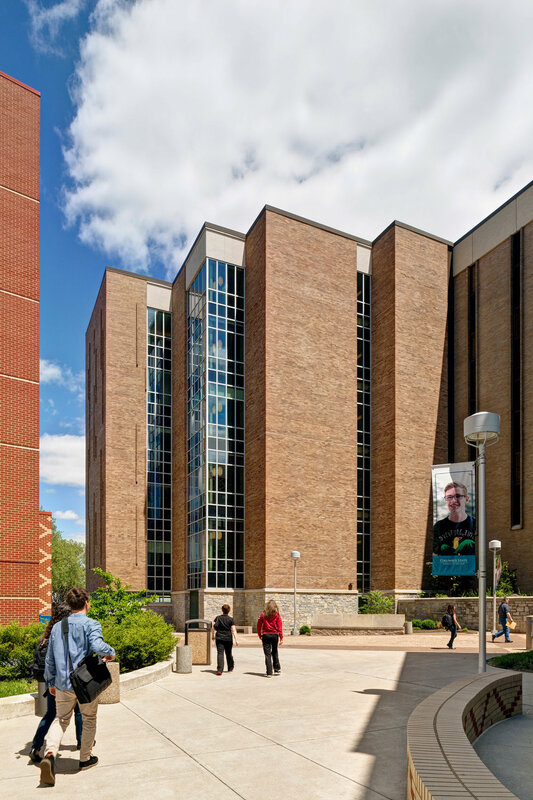 The project was completed in 2 phases; the first phase involved designing and constructing the 24,000 SF addition and renovating the top two floors of the existing building. The second phase included renovating the remaining 4 floors, one by one, by moving the occupants into the newly completed addition. 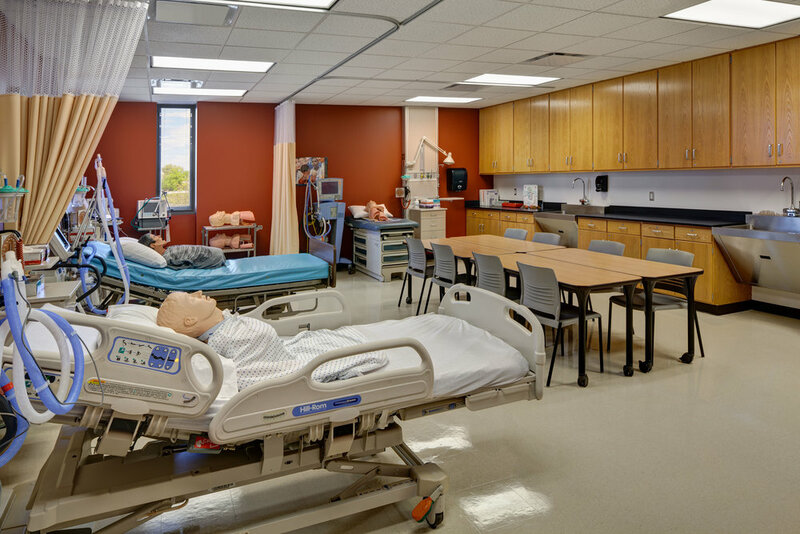 The revitalized Union Hall contains science laboratories, nursing laboratories, a child development lab, anatomy labs, massage therapy lab, and general classrooms. Columbus State’s technology needs on this project were heavy; the new academic environment requires sufficient power, data, and flexibility to accommodate current and future technology. 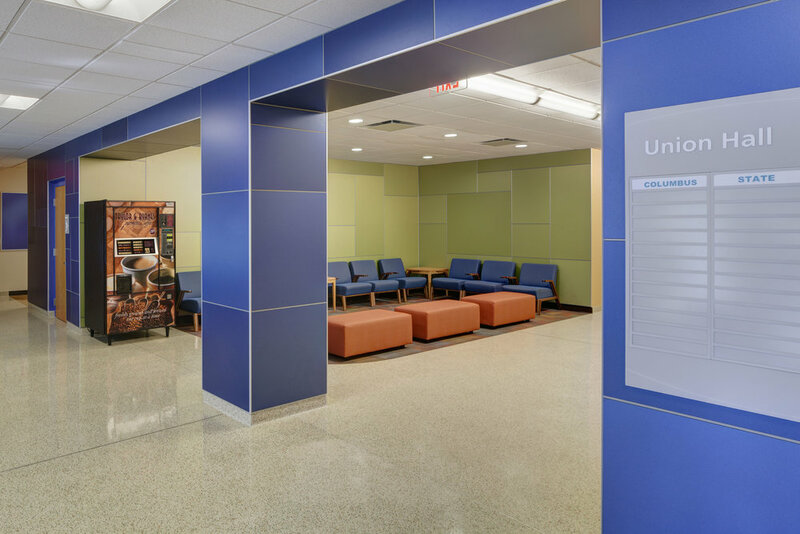 This was a major focus of the design and it has been integrated seamlessly into the new and renovated spaces.